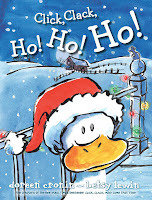 A very simple rhyming Christmas board book that small children will love. 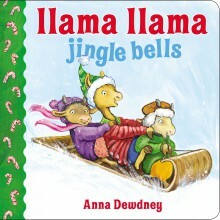 Llama and his friends are getting ready for Christmas : buying the tree, singing carols, giving gifts and helping with the cooking. Christmas is almost here!! 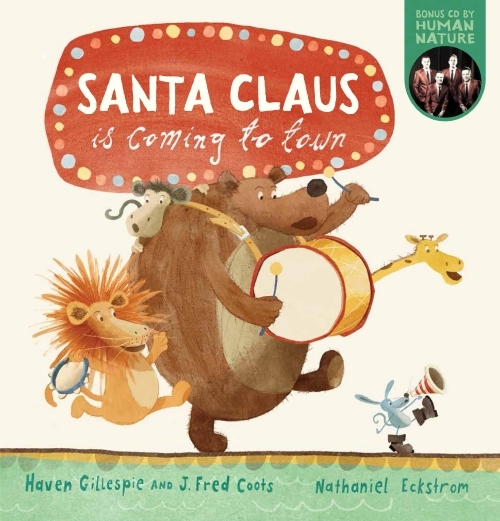 Bear, Lion , Monkey, Giraffe and Mouse feature in this picture book version of the much-loved Christmas song. The animals spread the word that Santa Claus is on his way. 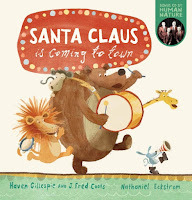 This book comes with Human Nature's CD recording so YOU can join in and sing along as you read! It's Christmas Eve and the goslings, Gossie, Gertie, BooBoo, Peedie and Ollie are all waiting for Father Christmas Goose to arrive. Ollie finds it very, very hard to wait, he wants "Christmas NOW!". 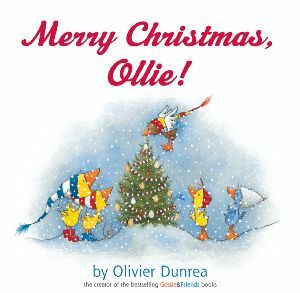 Oliver Dunrea captures the impatience of small children waiting for Christmas morning in this beautiful, simple board book. 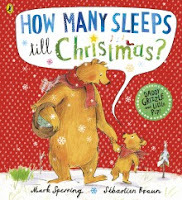 Little Pip, a very little bear, wakes up early one morning hoping that today is Christmas Day. But no!!! there are four whole sleeps to wait. Daddy Grizzle helps Little Pip to keep busy with Christmas preparations but each morning Little Pip thinks today must be the day. A lovely story about the joy and excitement that children experience in the countdown to Christmas. 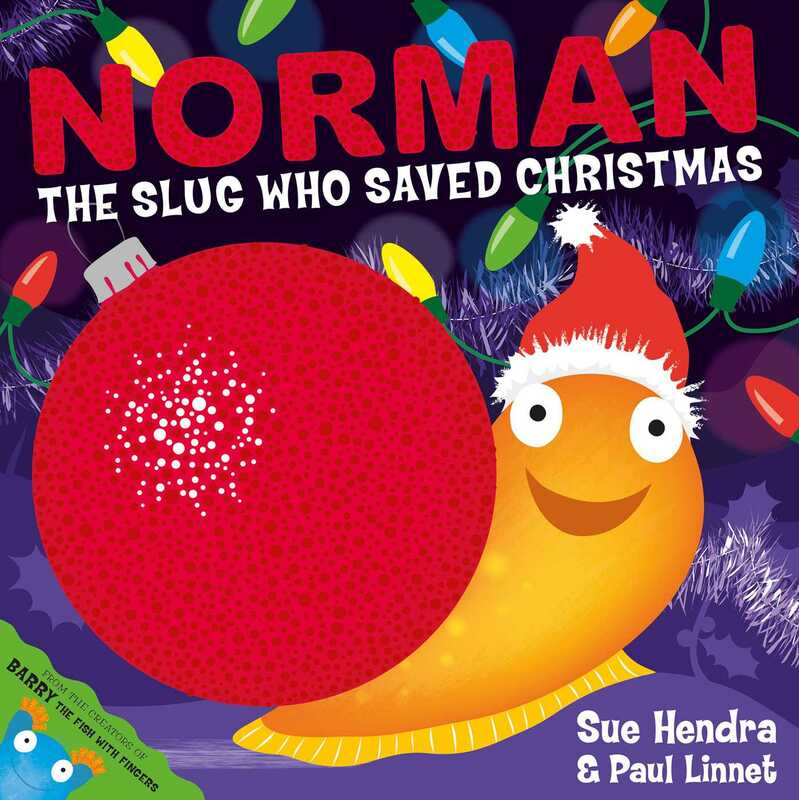 Norman the slug is delighted when a big bag of presents drops right down beside his Christmas stocking. Has he really been that good this year? 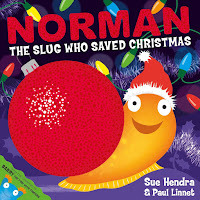 After Norman has unwrapped some of the gifts he realises the are actually meant for someone else. Oh no! Norman has to come up with a plan quick and make sure that Billy, Jess and Susie get their presents in time for Christmas! 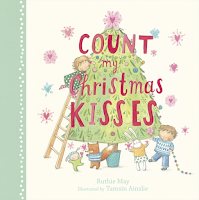 A beautiful Christmas counting book suitable for very young children. 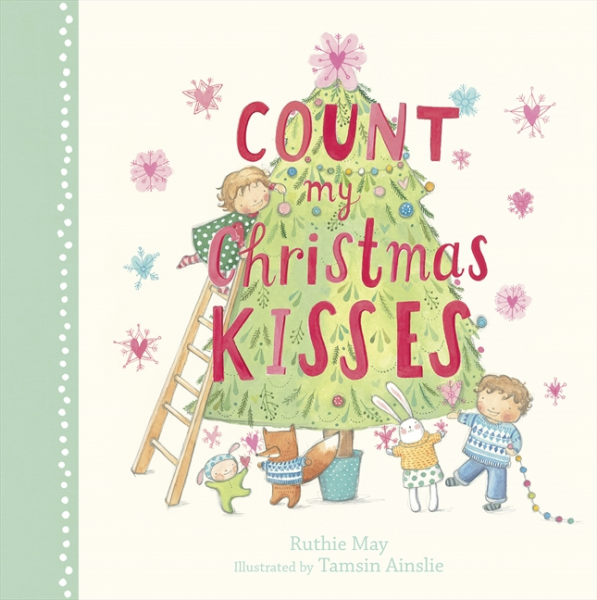 Simple rhyming text accompanies Tamsin Ainslie's illustrations as you count the kisses up to 10. Christmas is fast approaching and Mr Fish is drawing up his shopping list. Will there be time to get gifts for all his friends? Mr Fish hits the shops but can't find quite the right gifts : big enough, bright enough, perfect with a bit of bling-zing! 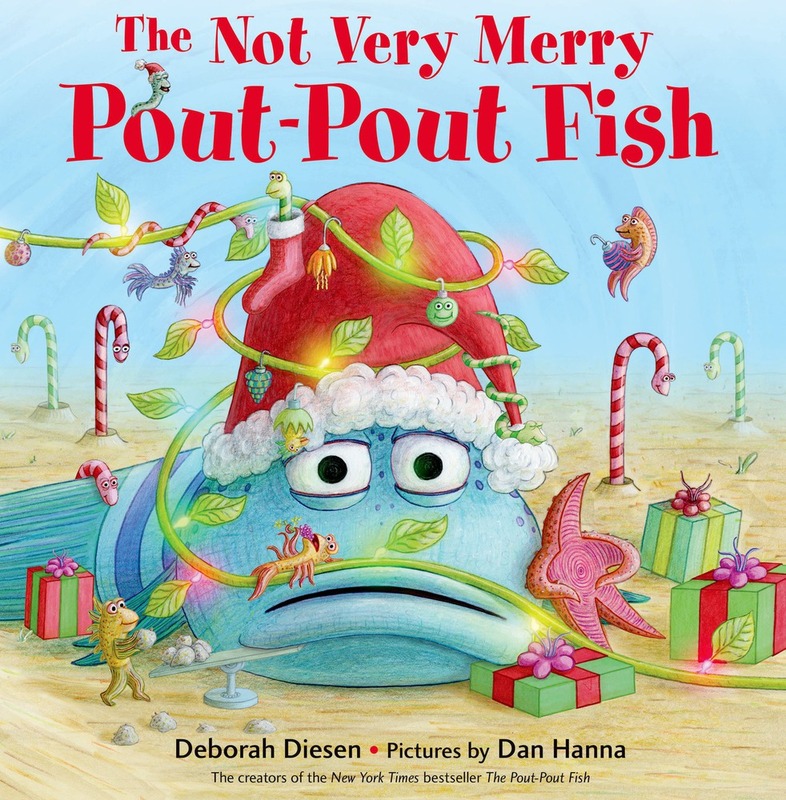 How will Mr Fish resolve his Christmas present problem? 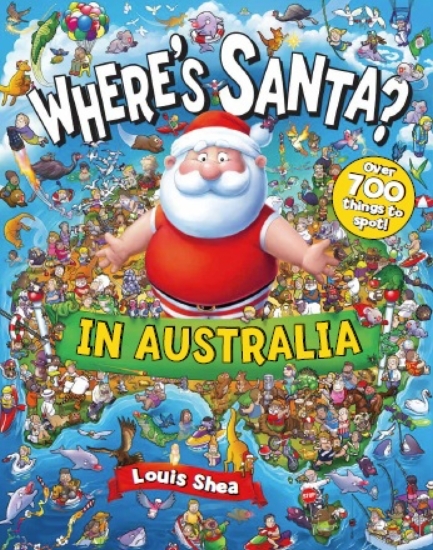 A "spot it" puzzle book with Santa travelling all around Australia. 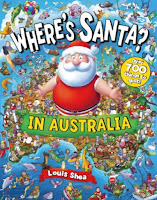 Over 700 things to spot, school age children will enjoy this "Where's Wally" type book. 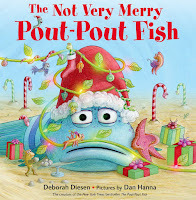 A great book for primary school aged children. The Tea and Sugar Train only comes once a week on a Thursday. But the special Christmas train only comes once a year. 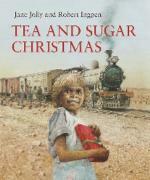 This fictional story is based on the Tea and Sugar Train which travelled between Port Augusta (SA) and Kalgoolie (WA) once a week up until 1996. Isolated communities depended on the train to deliver food and household needs. A special visitor will be coming on the train and the children are all very excited. Amazing illustrations with foldout pages , the spread showing the inside of the train is especially interesting.This book received an Honour award in this years Children's Book Week awards. 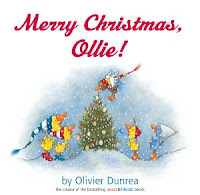 Young children will love this peep through version of the traditional Christmas song. 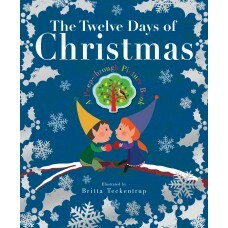 Beautifully illustrated the last page has all the gifts of Christmas on one page with the partridge in the pear tree in the very centre. 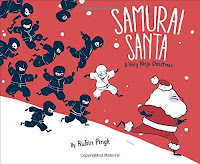 Its Christmas Eve and the snow is falling in Ninja Village. 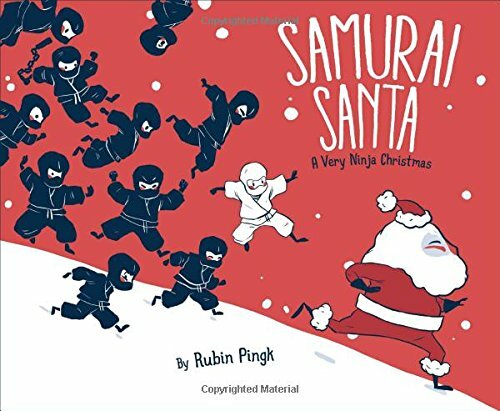 Yukio, a young ninja boy, thinks a snowball fight would be so much fun but all the other little ninjas are on their best behaviour waiting for Santa to arrive. Yukio is not very interested in Santa and comes up with a plan to chase Santa away from the village. All too late Yukio realises that all the little ninjas may miss out on their Christmas presents this year. 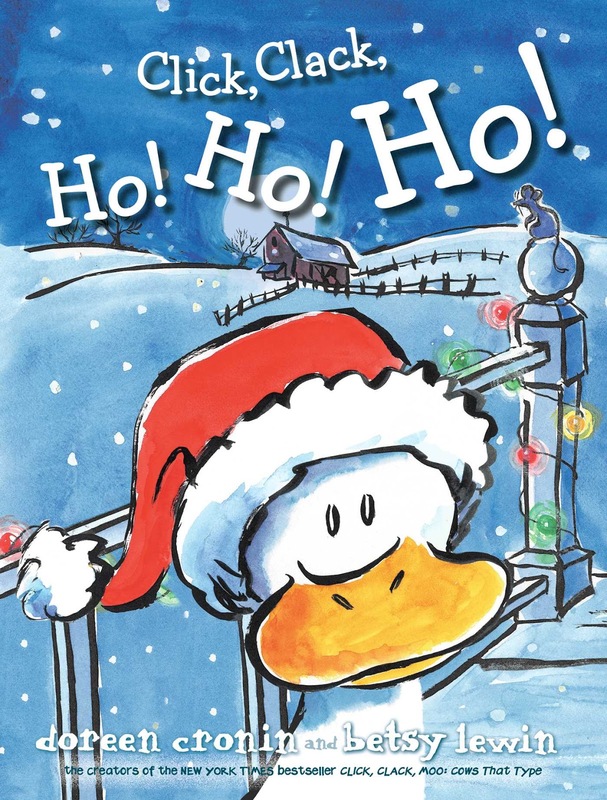 A fun and fresh Christmas story for young children.